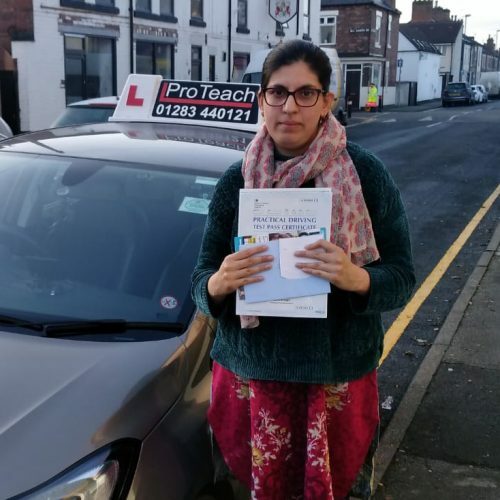 Congratulations goes to Sara Tariq on passing her driving test 11th December in Burton. Sara held back the nerves to get the required result. Well worth all the hard work Sara put in. Well done again from Paul and all the team at ProTeach Driving School.